What is your social media mlm profile telling people about YOU and your home based business? Is it TELLING people something or MOVING people TO DO SOMETHING? 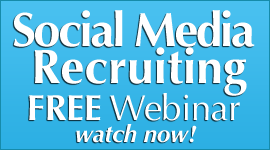 Is it part of your recruiting strategy or just part of your social site? The answers that you gave are revealing to the overall social strategy you have for your network marketing business or DO NOT HAVE. A profile on any social site is the first thing that most people check out. If yours is just a plain old profile with NO PULLING POWER then you are missing an incredible chance to engage someone with your home business. Introduce your name and where you live. Move people to get to know you. Move people away from you. What is YOUR social profile doing in your social sites that you are engaging conversation with? In social media mlm marketing, the profile is your calling card. It is on just about every social site that is out there. There are so many social sites out there-over 4000-and everyone is a chance for you to BILLBOARD who you are to the world that people will not forget. Your profile should be a BILLBOARD of Magnetism that gets people to DO SOMETHING– not just read something. Give something away free on your blog. Give a free ebook away. Give a free video away. Give them a REASON to move closer to you with their email so you can market to them and build a relationship. But WHY do you need to have a profile that is magnetic and “pulls” people in to look at it? 1) A Magnetic Profile will build your Brand quicker, as it will be TALKED ABOUT if it is of VALUE and GIVES VALUE at the beginning of the budding relationship. When people visit your facebook site, or twitter page, or youtube page, or what social site you are registered on, our profile will either get them to want to know more about you, or click away. If you GIVE something to them as a result of visiting your profile, they will be more willing to listen to you in the future to your message about your home business. 2) A Magnetic profile will be recommended – but the Value Given will be Virally Marketed. People will recommend a profile to other people if they think that person has something to offer of value, and comes across like a premier provider. Make sure that your profile will make people send it out to others. But if you GIVE something of VALUE- then the Viral Monster starts to kick in. People will pass it around – NOT just recommend it. And then it will take a life of it’s own. I have seen this happen not only to my profiles, but a TON of other marketers as well. 3) A Magnetic profile will give you an opportunity to introduce yourself as a TRUE AUTHORITY- not just another marketer, blogger, or person trying to sell something. Draw people in by establishing yourself as an Authority and HOW you can help people with your expertise. If you are going to establish yourself as an AUTHORITY in your niche, you MUST give content away that PROVES you got the goods. There are many ways to do this, but give Little Known Content. Give highly searched content. Give SOLUTION Content. Give USEFUL content that most do NOT give to set yourself apart. It works and I have done it for years, and it DOES set you apart over time. This is HOW you can create a BUZZ about your profile as well as your True Authority. These are three reasons why you need a magnetic profile in your social media marketing efforts for your mlm home business. How Do You Recruit 3 Professionals a Day on LinkedIn? Social Media Home Business- 3 Powerful Secrets of Why Facebook Events? 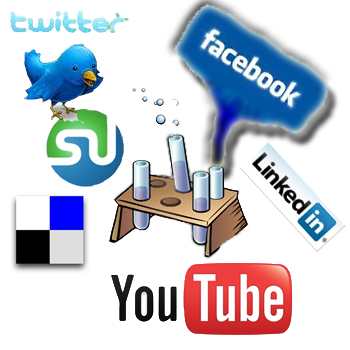 In home business mlm social media, there are many sites out there to choose from. and it grows daily it seems with all the new social networking sites out there that are perfect for mlm recruiting. I keep a list of all the new sites just for fun. I want to be sure that I can coach people on how to work the sites and the best parts about them. Many social media mlm sites out there are ignored. Seems that everyone is wanting to market on facebook somehow someway. Now I like facebook a LOT and we do LOT of business on it. But like any other sites, there are special parts to it that make it not only perfect for doing business, but also connecting with new prospects and people. Google + has come on pretty strong and they are still in beta as far as this writing date goes. It may be a player in the future, but right now, it is still all about facebook. Events are a powerful way to get your message out there is a professional manner. There are new apps out that now you can do facebook webinars-ON FACEBOOK. And it gets even cooler than that with a lot of the other newer apps. But EVENTS RULE as far as marketing your home based business on facebook. And I think that once you get the fact that facebook events have BENEFITS to them for more than just exposing your business, things get exciting! One of the most powerful tactics in marketing that Facebook has are Events. 1) Facebook events for MLM can establish you as an Expert in your field. It is focused on featuring you and your message. It will help maximize your exposure and also introduce you to new people via the News Feed. This will help you become more visible as well as branded. 2) Facebook event for Home business can help push your message out as worthy of Listening to. I hope you know–This is critical. Many people have great messages, but do not really “get out there” enough to be heard. 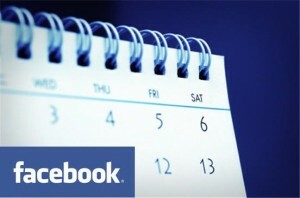 Facebook events can help alleviate that challenge. They can create WIDE EXPOSURE on the facebook wall and also for all your friends to see and join in. 3) Facebook events for multi level marketing can start a Connection process with people who are checking out your home business. These events are GREAT for people who need an additional or even an initial exposure to to your company. 1) Have someone host it for you. Here is a little TIP: It will add more credibility with what you are doing. People seem to pay more attention to a Facebook event when it is hosted by someone else and promoted by someone else. 2) Have other people invite their friends for you. 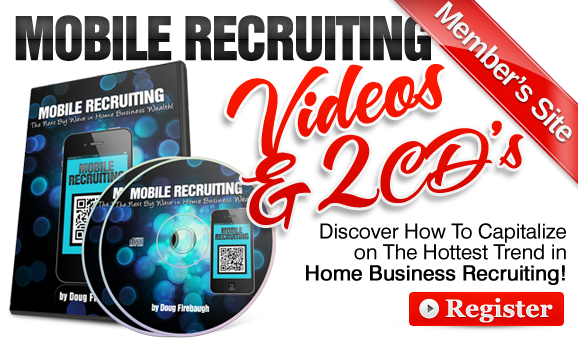 This ia a great way to expand your reach with facebook home business Marketing. The secret is to let others become the broadcasters of the event, and you become the “conversation” that is talked about. You then can build your brand beyond where you are, and get it out past where you are currently. A third party broadcasts your event to as many people as they possibly can, and then broadcast again. Broadcast it across the social media landscape. On Twitter. On Google+. On LinkedIn. And then let the viral marketing start to happen by putting up a youtube video, cinchcast, and a podcast about the facebook event. Facebook events are a powerful platform to start building your brand, especially if you are NEW to the network marketing arena. I would suggest that you come up with a topic that people would be interested in concerning your products, and then put an event together for it. make the topic focused on VALUE to the attendee as well as give something FREE away. Facebook events for a home business is one of the most powerful way and how you market on facebook and Social Media Marketing for your mlm home business. 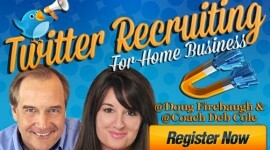 Social Recruiting Secrets of a # 1 Corporate Recruiter in the nation-adapted for HOME BUSINESS? 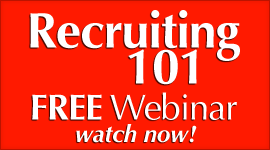 LinkedIn Recruiting Secrets for Home Business- READ THIS! In your home business and network marketing business, Social Media Leadership is a revelation process that really needs to be looked at by the social media community. It is critical. Leadership in your home business and social media determines everything in any kind of social media change, growth, improvement, or marketing. Leadership is the elevator in all business – Especially in Social media. It will determine whether something goes UP or goes DOWN in the marketplace. It will determine Value or determine Emptiness. If you own a home business today, I think you would agree, many folks in mlm and social media are home based entrepreneurs with their own network marketing business. But yet, many of these folks do not take the LEAD in social media. They spend time on social sites. They follow. They follow others in their efforts to find the golden rings of social Media. Do NOT wait on someone to give you permission. TAKE IT and KEEP IT. Step up to YOUR LEADERSHIP in mlm social media and get out of the wake of people that are trying to leave you and your home business behind. DECIDE to Connect and Embrace YOU! Connect to Your own Leadership in MLM Social Media. There is an INCREDIBLE Home Business Leader inside of you-it’s time to RELEASE that Leader to the world. Start directing people to ideas and possibilities they never knew existed-from YOUR Suggestions and guidance. Start guiding people to what will TRANSFORM them as a person, not just what will create a Transaction. Transform their perception of what is possible. Transform their thinking to a new level of Success. Transform their expectations-with YOU. There are 4 Secrets to becoming Powerful Social Media Leader and if you operate with these components in mind, you can become social media royalty. Some folks call it Vision. Some folks call it a Destination. In social media, you need to paint a vivid picture in what you can do for a person, as well as where you are going to take them. Picture pages are the most visited pages in social media. OK. Then using that as a measure, lets’ create s picture of where you are headed, and what that picture has to offer anyone who will follow. Does the picture have a name? Does the picture you paint of your message move people emotionally? Create what I call a Picture of Promise, and then keep that picture in your Social Media Leadership front and center. Lisa, a friend of mine, keeps a picture of what a person will look like if they learn about and use here skin care system FRONT AND CENTER on her social sites. She is not trying to sell anything except a possibility. It is a Powerful picture that leads to a powerful place. Folks want a Path they can travel, and most want it in modules, or steps. What does your Leadership Path offer and what are the steps? Have you CLEARLY laid out the path so they can follow with no challenge to where you are leading them? Are the links and any other “doorways” to new ideas working? Are the videos you are doing compelling? Are the pod casts short and to the point and interesting? Are the blogs readable and well written? Are any notes or tweets easy to understand? All a path is is a series of social media “doorways” that lead to where you want them to go. Call them bread crumbs. Call them arrows pointing to a place. But either way, they first lead a person to a place and activity to be taken. Everyone listens to radio station KIA-AM. That stands for “Keep It All About ME”. Make EVERYTHING about the prospect and what they will receive when that enter the “Promised Land” you are guiding them to. Make the path they have to travel, click to, or learn about interesting and always point to something they will learn, enjoy, feel good about, and feel glad they took that path with you. What as a leader, are you promising anyone that will follow you? Gain? Increase? Education? Improvement? Answers? Solutions? Or are you offering them something so of VALUE that not matter who it is, it is TOO Valuable to turn down? Promises are a dime a dozen-unless you LEAD people to the promise and DELIVER, and set yourself apart from the crowd with REAL relationships in the social arena, as all leaders build connections and Value in all they do. Make a Promise- and KEEP IT- no matter what. That is Leadership in Social Media. Nothing will point to you as a Social Media Leader quicker than a Powerful Conclusion to the Promise. Give them what you said you would. Take them where you said you would. Teach them what you said you would. But give them MORE than the Picture Promises, and where they think the Path Leads. That is what Social Media Leadership is about. Leading PAST the Promise to More Powerful Conclusions. Leading In a Way that it is so Valuable, they will follow you anywhere, anytime, with any suggestion of a path. LEAD the folks to places they never thought they could visit or conceive, with Social Media Leadership. If you do these things, you will find that your success will multiply dramatically in social media for your home based business. 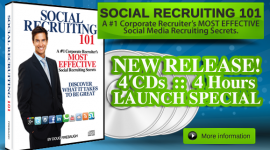 Social Recruiting Secrets by a # 1 Corporate Recruiter? Read this! Social Media MLM- The 2 Things People are Seeking in Social Media? 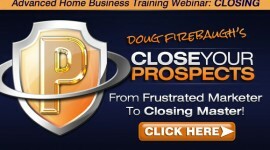 has become one of the fastest growing teaching segments in the home business profession. Many folks want to know what to do to find leads and prospects in social media. This includes facebook, twitter, LinkedIn, among many other sites. The Psychology of Social Media is an interesting study because if you understand certain things about the social media participant, you can approach them and sponsor them so much easier. I have read everything I could get my hands on concerning social media as one of the things I do for a living is consult with corporations on their ml social media needs. And there are some interesting things I have found out along the way that seems to have helped a lot of folks with their social media. When you think about it, there are only 2 things that people are looking for in Social Media. It does not matter if you are in real estate, mortgage banking, insurance, or even in home business marketing of some type. People are always looking for something. You just need to make sure that you know what those things are. Most people in the Home Business Social Media arena are progressive thinkers and progressive people. 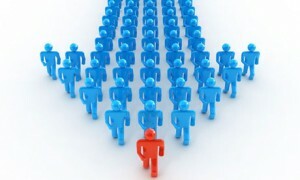 Most are ahead of the curve in the web 2.0 world, and most have a focus of being ahead of the pack. The early adopters of Social Media, which I am one, started on the Social media scene 7 years ago. There is not much there, but what was there, was used as best as it could be used. People then, and people now, are still the same. They always will be. But in the MLM Social media arena, we have found that they are looking for 2 things that will help them. Help them feel better about whom they are. Help them feel better about what they do. And help them feel better about where their life is going. All people are in some way looking for that forward focus. That is why in the social scene, there are 2 things people seem to be seeking more than anything. Most people in Web 2.0 ville are looking for Connection. They want to connect with people, information, new ideas, new trainings, new events, new groups, new videos, but whatever they are looking for, they want to CONNECT. Connection is part of the culture we grew up in. People in real estate understand the person want to feel emotionally connected to a house before they purchase it. People want to feel connected to a car before they decide to buy it. And people want to feel connected to something before they start building that bridge of trust with you. You must make an effort to connect in a way that they will respond to in home business social media. In Home Business Social Media Marketing, Connection is NOT Correction as so many people think. They are NOT looking to be told that their life is not any good, or is lacking. They are not looking to be told their home is too small for them. They want to Connect to something or someone that will make them feel better about themselvesand where their life is headed. You do that in conversations on twitter, Facebook, twiiter, orkut, Google+, LinkedIn, and the like. They want to feel GOOD about a conversation with you, no matter the social network. They want to feel FOCUSED ON and Tied into a conversation that will help them feel more a part of something that can increase and enlarge their life and future. CONNECTING with people is simply reaching out and taking their hand over the internet and letting them feel PLUGGED IN to something and someone that can help you connect to new possibilities and to new destinies. THAT is simple and the truth. Keep the Connection authentic and real, and they will listen to what your conversation is about and start drawing closer to you and your message. People want to feel like they are being lifted higher in their life. They want to feel like their life is going somewhere and means something. We all do. We all are looking for that special feeling that we are special, and as trite as that sounds, it is the truth. What can you do to create that feeling that they truly believe they are walking on air? Life them up by noticing something they said that has helped you. Give them a kind remark about their efforts in what they are doing in MLM Social Media. Ask questions they might know the answer to show you appreciate their knowledge.. Send them new ideas on their passion. Notice something about their conversation that you can totally appreciate and let them know about it. Thank them for learning something from them. It will make them glad they talked to you in Social Media. And they will remember you the next message, tweet, or conversation. They will move from just a follower or connection to a friend on social media. As a home business owner, you will see that they can start to trust you, and even start referring possible clients to you as people they know who could benefit from your products. Remember- it is NOT what you said. But how you made them feel by Connecting with them and Elevating their hope and future in the Home business Social media Marketing arena. There are so any different ways to do that, but if you understand that you can literally make someone’s day by understanding the 2 things that folks truly are looking for. That is the secret. it is NOT about what you are looking for, but what THEY are looking for that will drive the Success in your home business that utilizes social media. Unleash the Power of social media in your network marketing business! Here is HOW! 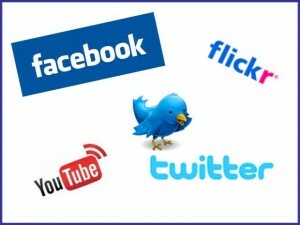 How to use social media to prospect for your business? MLM Social Media – The 5 Steps to Creating a Social Customer Avalanche? is one way to gather customers as well as prospects in your business. Many people just “wing it” and hope that their readers and followers will show up and buy. But the problem is….most do not. I discovered this the hard way. I got so frustrated at times trying to get people on our blogs and in mlm social media to become at least a reader of our blog, but also a customer. But frustration was happening all the time- UNTIL- we discovered this 5 step Success path which created a customer avalanche in our business. We have found that these 5 steps will help rock your business if you let them. “Build it and they will come” the saying goes. You can build a blog or video site and you can still be lacking connections. Connection is the nuclear core of mlm social media. But you must make an effort in order for that to happen. Whether you have a social media home business, traditional brick and mortar business, or an online business, you must get into the social trenches and connect and converse. It is that simple and that plain. It is all about connecting and creating a magnetic conversation with people that draws them towards you. But why are people in social media not doing that? Maybe they do not know this powerful 5 step “Avalanche Process” for getting new customers and keeping them in social media. The first thing you must do is connect with the social media culture. It is what marketing is about in social media. Some people think that they can be anti-social in social media and think they can broadcast their message and people will still come. That simply is not going to happen. Not in social media. You do not build ‘it” but instead, build relationships that can become doorways and then eventually become customers. 1) Connect –> 2) Conversation –> 3) Value –> 4) Doorway –> 5) Customer. Connection with people is where success in social media starts. Connect with people on Twitter, on Facebook, on LinkedIn, on Youtube, on Orkut, or every other niche site out in the social sphere that matters. You must connect. Connect to those who are looking for you. They will find you if you are visible, and accessible to connect to. This step is where the conversation with people starts. You talk about the prospect and where they want to go. You talk about what they want to talk about. You study their profile, pictures and videos on their social sites as you can learn a lot just by paying attention. Then make sure that you stay in touch and listen when they are communicating with you. If you do that, they will want to stay connected to you. This step is where you bring in the magnet to pull them towards your message. Show them value they can obtain with your message in their life. Show them how your message can help expand, increase, enlarge and improve their life. You do it through tips and how to’s in videos and blog posts and podcasts, as well as tweets and twips. Show them how you can make their life easier and show them how to do something they want to learn. You show them how to be or do something. If you can increase the size of their dreams, you can get them as a customer. This is the doorway to conversion where you convert them to a customer. You must convert prospects into customers if you are going to have any kind of business. That is simple to do. Give them an offer where “No” is impossible to say. That is the secret. Give first and then make the offer so compelling they cannot say “No.” We do it all the time. We just ran a social media special on our training products and it blew the roof off our shipping department. It has created a flood of new customers and new orders for us. All we did was give them an offer that was difficult to turn down. Give away something they must have, and something that will improve their life, and they will get it. This final step is where they purchase your message, products, or webinar or event. This is the beggining of your relationship though- not the end. Here you must start building the relationship between you and the customer even more. Give more than they expected and throw something in for free they were not expecting. Give them a free download or ebook and let them see a Private video collection as a special. Encourage more. Make sure that you send a note of encouragement and stay in touch with them. Thank them more. Make sure they know you are thankful for their business and connection. We send out free downloads all the time to say thanks that some people paid $$$ for in the past. Thank them in everything you do and they will come back for more. That is what you want to happen in your home business or traditional business in mlm social media marketing. 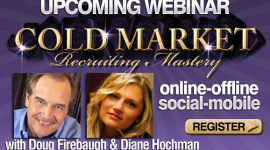 Home Business Social Media-The 11 Golden Words You Use in Social Media? If you understand social media in home business, you will know that Conversation is the FOCUS and BULLS EYE of social media. Many people think that there are other more important things in home business social media. Like sales and grabbing for their wallets. That is why still companies struggle with the arena of social networking. They still are stuck on traditional communication in marketing, not understanding today it is about Conversation and using Magnetic Words that will PULL people into your network amd community. Conversation- NOT Presentaiton. That does not work today in social media for your MLM home business. Yep- that is what the core focus is in Home Business Social Media. Ok- let’s get REAL. If Social Media marketing is about conversation, then should there not be words that fit in to what the culture of social media is all about? Should not you paint a picture with your words? Should your words not elicit feelings and emotions? There is nothing more powerful to a person reading a message or conversation that has the word YOU in it, over and over. Many people have an “I” mentality, and in mlm social media, you are not the deal. The other person or side of the conversation is. ” Contribution conversations” contribute to the whole, and add Value to the conversation. “Distribution conversation” distributes the message/agenda you want- and has little inclusion of someone else. Contribution words use YOU many times. Distribution words use “I” or ‘Me” many times. Use the word YOU and become a Contribution Agent in social media, not a distribution rookie. Duh. There is nothing more beautiful to a person than their name. This is a given. I am surprised how many tweets, notes, and messages I get and also read that do not say the person’s name. Use their name at least once in every communication and message as it adds to the conversation. And also, a person will retain almost 70% more of what a message says, if their name is within the first 3 words. Chris Brogan is a master at this. I have seen and studied him, and every time he tweets or sends a message- usually the name is the first word. Smart. VERY smart. we all should follow that lead. This word is an indication that you want to connect and start a relationship of some kind and create an ongoing conversation. Many folks use the phrase “get together” or “meet up” or “network.” These words are good- but CONNECT has a power within the word. Electricity us usable when you connect to it. Same thing as a battery in a car which powers the car. And idea is only powerful when you CONNECT to it. The Power is in the Connection-when 2 things come together. It is the same in new relationships- it is all about CONNECTION. This is an interesting word. Seth Godin has a cool book called “Tribes.” I suggest that you read it. But as far as a word for the social media arena, it is a word that helps define that you are within the culture and understand the community aspects of what social media is about. In tribes around the world, it is all about community and belonging to that community. It is the same in social media. Recently I described the community we are building within a project as an “empowered tribe” and some people got it- and well, others did not. Make sure if they do not understand the concept of tribes, then you explain it. In home business social media, being REAL is critical. And part of being REAL is being open and transparent. I love it when I read statements like “full disclosure” and people are disclosing that they have an interest or are on some board of a company they are talking about. THAT is so rocking hot. It shows that they are being transparent and nothing to hide and telling the truth. And that is what social media is about in many respects- TRUTH about you- and what you are and do. THAT is transparency. Use that word when talking about the truth. Just being “transparent” – that says a lot in one word about you. MLM Social media without a strategy for it, is like building a house without a blueprint. You need to develop, plan, start, and execute a strategy for your social media success. We call it a “Social Media Path.” What PATH do you plan on developing for your business, and how will that fit into your current model of business? What will be your Primary social media Platform, and what will be your secondary platforms? PATH stands for “Purpose- Actions-Tracking-How.” what is your PURPOSE for integrating social media into your home business? Marketing? 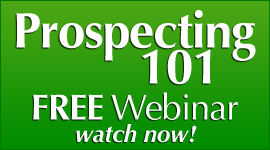 Prospecting? Client communication? Customer service? What ACTIONS will it take? Videos? Blogs? Podcasts? Social Networking? What TRACKING system will you use to keep the platforms at maximum pace? And HOW are you going to Execute the Actions? Through employees? Through outsourcing? Through a combination? Strategy is a word that you just talk about. You need one. And so do others that you know as well. This word has been around for a while. But you still need it in your focus and communication. Branding is a word that you need to utilize not only in your messages, but your focus as well. YOU are the Brand is a popular way to discuss social media marketplace image making. But that is not totally true. The PERCEPTION of you is the brand you are building- good or not so good. So make sure that if you use this word in social media this year, you realize that PERCEPTION Rules in Branding. Brand yourself in the marketplace. But make sure that you focus on the VIEW and FEELINGS people have of you and experience when they think of you and what you do- and not just some catchy slogan or icon. You need to be an Agent of Trust. Chris Brogan has written a book called “Trust Agents.” It is a rocking hot book. What about you? Are you an Agent of Trust? Just like a Real Estate Agent markets real estate, you market Trust in all you do. That is the real estate of the heart. THAT is using the word Trust- to build trust. Some people use “network.” Some use “team.” Some use the word “community.” Some use the word “friends.” I like the word “Family.” it is personal, powerful, and paints a picture of what home business social media really is building- a family that can help, be there for each other, educate, equip, and empower for greater good. One thing that I do- and again- just an idea, I welcome everyone on Facebook or twitter or YouTube or any other social connection with “Welcome to the family!” This says so much more than “thanks for following me” or “appreciate the connection.” We ARE family- and I hope and pray it stays that way. It is ALL about Value. It is all about the VALUE that YOU bring to the table. It is all about the VALUE of your conversations and contributions. And it is ALL about the VALUE that you help others see within themselves. Edify. Encourage. Empower. And become a “Carrier of Value” to everyone you meet in social media and GIVE some Value to them. This is the MOST important word. GIVE. Why? In social media, it is not the same ol business methodology. It is Biblical- if you will. “Give first- and what you give- you reap.” Giving is the culture of Social Media. Why do you think that people give so much rocking hot info on their blogs? Giving is a Power. It is something that not only is part of the evolving culture of social media, but also the CATALYST of much of what social media has already become. if you are a marketer, New Marketing can be almost threatening to you as it flies in the face of traditional marketing- or does it? No- not really. It is simply marketing that puts PEOPLE FIRST- not profits. It put RELATIONSHIPS FIRST- not results. And it puts GIVING FIRST- not grabbing for their checkbook. 3) Social Media Marketing Actions. If you do, your Success should be rapid in home business social media marketing. 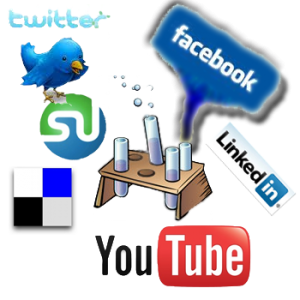 Network Marketing Social Media-The Ten Commandments of Social Media? Network Marketing Home business social media is getting popular. And with the number of people onfacebook and twitter, there seems to be no end to the amazing growth of participants to the socialmedia arena in MLM I have seen amazing things happen with people’s downlines and have dropped my jaw at some of their recruiting results online througb network marketing social media. If you are going to work social media and social networking sites in your home based business, I believe you need to understand some foundational principles about social media and the thrust of it. There are many trainers in social media, and we all can learn from each other. I suggest that you look at these “Ten Commandments of Social Media” as principles of Success in social networking and how to approach social media in your home business. There are ten foundational understandings that you BEGIN WITH before engaging social media in your home business. There are a LOT of mistakes made in the online arena, and my goal id to help you reduce many of those possible hindrances. NOTE: Social Media is NOT limited to the following 10 Concepts. But these are the 10 things that after researching, showed up stronger and more often in our data than any other concepts , ideas, or “Commandments” we found. These are what were talked about the most, focused on the most, and agreed on the most as critical for social media success for the average person. 1) Thou Shalt know that Social Media is not just about CONNECTION – but the Connection Network. In Home Business Social Media, it is said to be all about CONNECTION– but in Social Media Marketing, it is more about what is CONNECTED to that Connection. It is called the Social Network. And that Network has proven to be Golden with many respects. This Social Network can open up doors and introductions for marketers, bloggers, and social participants to a vast group of people that were never available to them before. But of course, the quality of the Network is a factor as well. 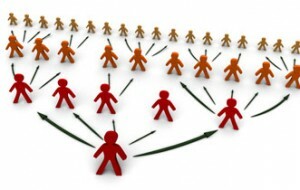 It IS about CONNECTION- but more also about the MLM Social Network the person you are connecting to has behind them. Consider every Social Connection a potential doorway. It’s what lies behind the door that makes Social Media work. The True Value for Marketing is what lies behind that door. That is what drives the enormous numbers behind Social Media- the Second Layer of Connection that exists with people. 2) Thou shalt know that Conversation is the platform that all social media rests upon. Whether it is called “Cafe Conversations,” or “Capsule Conversations,” Conversations are critical in Social Media. And that includes Talking AND Listening. You talk to folks in many ways, including blogging, tweets, writing on walls, personal videos, direct messages, joining in a conversation on a micro blog like tumblr, as well as social email and social classified ads. But you LISTEN as well. You do this with tools that are available with many Social sites. You can listen to twitter with “twitter search.” You can search what people are talking about with many applications, including Twhirl andTweetdeck. You can also use social search engines as well to Listen to what is being said. And you can also hire great companies that do that for you, like Radian6. But Conversation is about BOTH Talking and Listening. You MUST know what is being said out in the social sphere. And here is a tip: Make the person GLAD THEY TALKED WITH YOU. Make them the star of your conversation- not your ego. There are way too many one sided conversations out in Social Media. Keep the conversation focused on who you are ‘talking” to and encourage them, as well as guide them to larger possibilities. Change the Size of their Conversations and you will change their life. 3) Thou Shalt know that VALUE is the Magnet in Social media, and reigns supremely. Value is King in Social Media. But not just average Value or expected Value. I am talking about Unexpected Surprising Value.Value that is so much that people talk about it and virally market it like crazy. This is how a new “buzz” starts. By creating a Huge Value with a blog post, free giveaways, new ideas, new software applications, discovery of little known information , news stories, and “how to’s” and the list is almost endless of the Value you can bring. The amount of Value you bring to Home business Social Media will always equal the amount of Impact you have with people. And that Impact either moves people TOWARDS you, or keeps them where they are. Either they become your friend and “follow you,” or they do not see any reason to. That is up to the Value they perceive in what you send out as your message and intentions. 4) Thou Shalt Know the Three R’s of Social Media. Reaching Out. This is critical to Reach Out to people and let them know you want to Connect and befriend them. Relationships. Once you have Reached Out, you start building a Relationship of Trust and Value. Respect. Respect in Social Media is earned, not just given. And you earn that Respect with consistent and powerful content with Value, great conversations that move folks, Integrity and ethics above all, encouraging others, offering solutions, and helping people to larger and more powerful possibilities in their life and business. 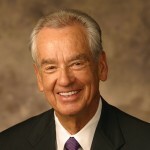 5) Thou Shalt BRAND Your Message, Product, and Yourself Consistently, Visibly, and Uniquely. Everyone talks Branding as that is a must to do in Social Media. But here is where it can get tricky. You brand multiple things all at once. YOU are the brand- sort of. The first thing you need to brand is your Image and who you are, and you do this with a picture or avatar of yourself that shows who you are on your profile. This can also include a corporate logo for a company as well. Chris Brogan has branded a picture of who he is on his blog. The second thing you need to brand is your Message. This is what you want to become known for, and people think about when they think of you. Scott Monty has branded Ford Motors as part of his brand effectively and powerfully. The third thing you want to brand is your product and what Value it has that makes it UNIQUE and One of a kind. The product can be information that you market, actual products that are shipped out, services like consulting or accounting, or any other type of product that you have to market that people will see a need for. All a Brand is, is Image + Message + Impact + Consistent Visibility = Perception. Your Image is what people SEE in their minds, Message is what people HEAR in their memory, Impact is what people FEEL in their hearts, and Visibility is what reminds people that you are there. Perception then becomes your Brand. Branding is not about just being remembered, or becoming known. It is about becoming totally UNFORGETTABLE. ™ THAT is a powerful brand. 6) Thou shalt Expand your Experience Through Social Site Applications. Applications are developed software and are what Social Sites have available that make your experience more fun, useful, and productive. The most applications are generally found on the most active sites and usually are free. Twtter has over 150 applications, facebook has hundreds of applications, as well as many other Social sites out there. 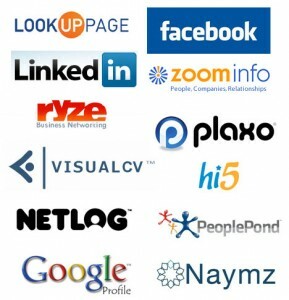 Many applications are very useful and written by outside people for the Social sites. Learn what applications are available on each site that you are a part of, and choose the ones that you believe will work for you the best and increase your exposure, conversations, and productivity. 7) Thou Shalt GIVE freely, and be willing to Lose Control of your Information. Giving is what Social Media is all about. 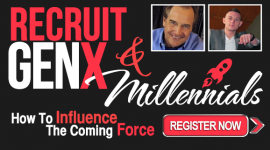 Many folks are talking about ‘Influence” and what it takes to create it in Social Media. That one is simple: GIVE. GIVE stands for “Gain Influence Very Easily.” And when you give, and then give some more, the power of Influence that develops is amazing. And losing control of your information is part of it as well. Most folks want to CONTROL their information, their marketing strategies, as well as their results. That is part of traditional marketing. But what if you could blend traditional with the non- traditional? Let some of your information go. Give it away freely and let it be virally marketed by others. Give a free ebook away. Give a free mp3 away. Give a free product away. Give a free download away. Give some of your best content away free. Control the rest. See what happens with both sides of the equation- controlled and Social Media. You will like what you find in the Social Media side. The New Marketing Stars of tomorrow in Home Business Social Media will not come from those who are great marketers, but from those who have a LOT of people marketing FOR THEM- without asking them to. Would that be called Marketing Nirvana? That would be close to it. Be willing to Lose Control, and Gain a Massive Advantage. 8) Thou Shalt Build Relationships that are based on a Platform of TRUST. Relationships are the building blocks of Social Media. Trust is the Concrete. You must build powerful relationships with people to market to them. But a wall that is built with bricks and no concrete will fall with the first strong wind. Build TRUST and do it everyday. Be honest. Be a person of integrity. Be a person that people can feel good about and know you are there to help enlarge their life. 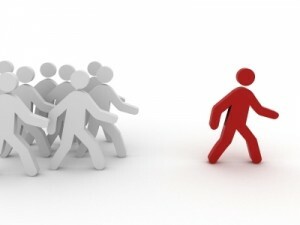 Be a Leader that people are willing to follow. And build Trust in your message, actions, conversations, branding, videos, blog posts, and any other form of exposure that you take in Social Media. The Rule of TRUST: Relationships are the tiles for the platform of Social Media. Trust is the glue. 9) Thou Shalt become Tribal, and enroll in groups, attend events, and empower the Community. Connecting, Relating, Reaching, and Conversations are ALL a part of building a Community in Social Media, as well as “Niche sites’ that can be that much more tribal. What you have in common with people helps build the Community. What you bring to the table to grow that community is GOLD. 10) Thou Shalt Have a Host Mentality with a Permission Focus. In Social Media, it is much like a party you hold in your living room. I did a post recently called “Social Media is your Living Room.” If you were in your living room, you would be playing HOST and inviting people in, talking with them, being social, making recommendations and giving advice, showing photographs off or watching videos, and introducing the crowd to each other. That is much what Social Media is about- HOSTING. With a small twist. You need to ASK PERMISSION to give them advice and make recommendations, as well as introduce them to the others in your living room. That is not hard to do. And if you have permission to do this, it is much easier to get them Comfortable with you, Connected with you, holding a Conversation with you, if it feels like your Living Room. Play the Host, and ask Permission. That is being Powerful and Polite at the same time. These are the 10 Commandments for Social Media Marketing. Yes, there are more than these, but these are what came up with the hard data we had, and formed the basis of this post, to help you improve and understand more Home Business Social Media and Network Marketing Social Media.